George Brough, famous manufacturer of motorcycle history, had been building motorcycles for over 10 years when it was suggested he should produce a car. 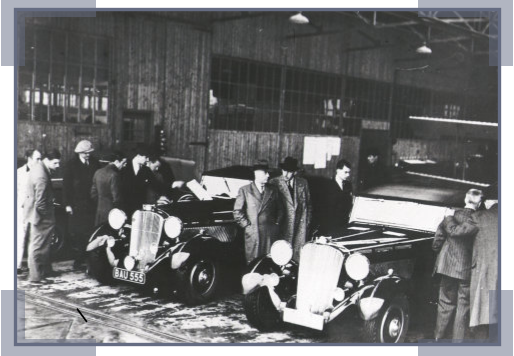 In May 1935 Brough Superior announced the first of their production cars, which was built using the American Hudson Terraplane chassis and utilising the Hudson 8 Cylinder 4168cc 28.8HP engine. The Drop Head Coupe body which was built by coachbuilder W C Atcherley of Birmingham was different to the Hudson and Railton cars, in that it has a heart shaped radiator, unusual cooling vents along the bonnet, a scuttle which is unusually flat, bold chrome flashes along the top of the doorsbearing BS signature and long sweeping wing lines with a hood that folds down neatly. The design was striking for the 1930’s, leaving many surprised that so few were ever built. No figures are available but there are around 13 of these cars left in existence, only 8 in running order and probably no more than 25 ever produced. In 1936 after a dispute with Railton, the 8 cylinder engine became unavailable and Hadyn Works in Nottingham announced the arrival of the 6 cyclinder 3.5 litre 21HP DHC. Similar in shape and appearnce to the 8 cylinder just leaving the bonnet a little shorter an setting the radiator slightly further back. The vents were missing from the scuttle and rear of the bonnet. Figures show that 75 of these cars were produced up until 1939. On the outbreak of war, the Brough Superior factory in Hadyn Road, Nottingham was used to produce munitions and George Brough’s own car WH 7238 was utilised to carry parts at high speed between factories. 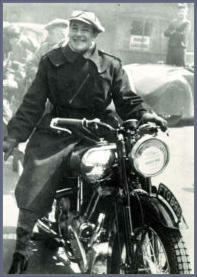 Sadly, no attempt was ever made to produce Brough Superior Cars or Motorcycles after the war.